T.C Roofing & Siding was established in 1993 by Tim Casper, and services South Eastern Wisconsin and its surrounding areas. TCRS has always upheld a work ethic that is committed to quality and customer satisfaction. 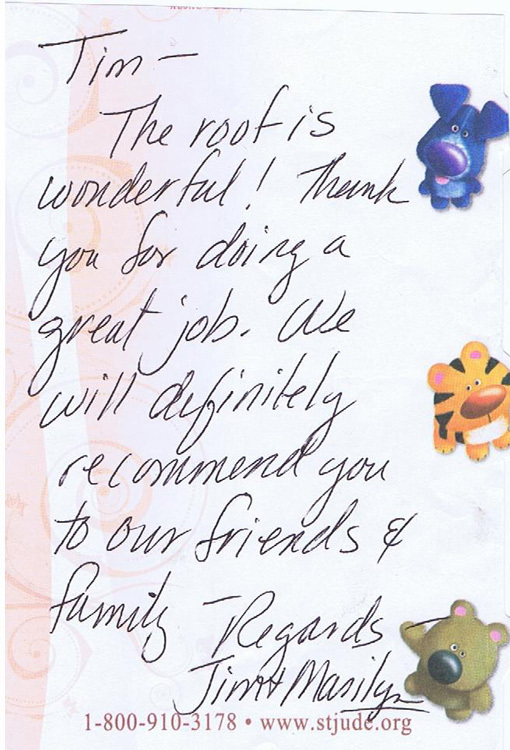 This is why a good portion of our work is obtained by word of mouth and through referrals from satisfied customers. At TCRS we do not use high pressure sales tactics or unskilled workers to get your job done, all work is done by our own specialized crew. T.C. himself will measure your job, supply you with a free estimate and oversee all job phases to completion. This ensures our customer’s top quality workmanship, a respectful, trustworthy crew, and overall peace of mind. T.C. also has an extensive background in home construction so if the project entails known or unexpected work, you can feel confident that any repair issues will be taken care of correctly. No Shortcuts = No Call Backs. 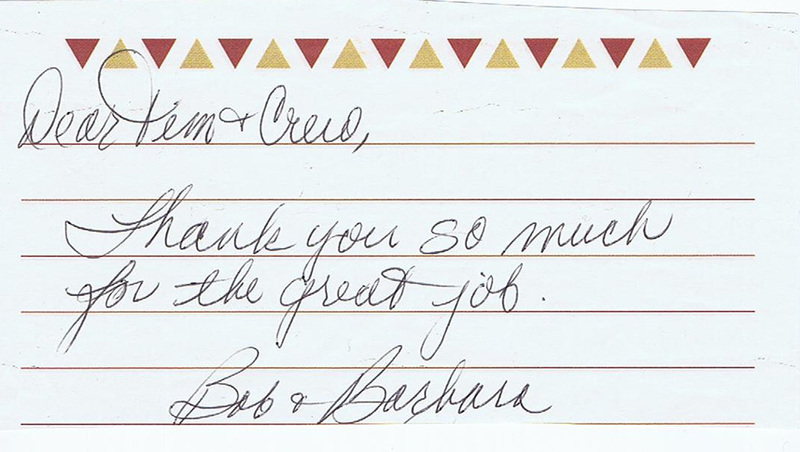 This work ethic is strong and has proven itself through 20 plus years of satisfied customers. At TCRS we only use new quality, up to date materials which correlates to the best possible results and happier customers. TCRS carries all needed State and Federal certifications, is fully insured, and is accredited by the BBB (Earning an A+ rating). Our main goal at TC Roofing and Siding is to provide exceptional quality workmanship, service, and satisfaction to all of our customers. 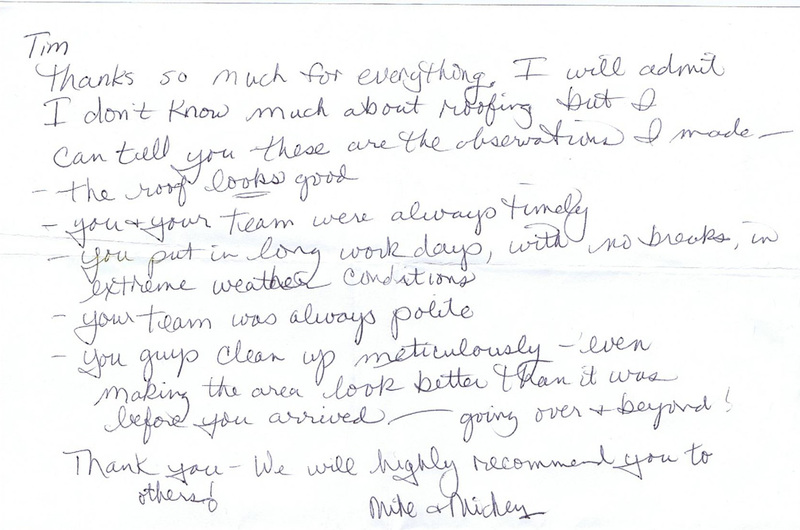 Our Company relies on these satisfied customers to bring us future work by referring us to others.